As America's population continues to age, and in many cases, gets out of shape, the demand for personal trainers continues to increase with time. This is a hot industry to be in. 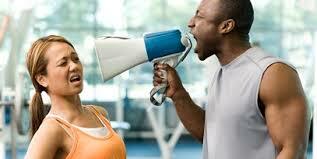 More and more people are looking for personal trainers. Whether you train people to exercise or eat better, or whether you train people in a holistic way to stay fit, you only have an increased chance of people needing your services. This is a growth industry in the United States. After all, the health supplement business alone is worth billions of dollars. That's how important fitness is to most American consumers. With that said, just because you are in a personal training business doesn't necessarily mean that you will be making money. One of the most common rookie mistakes made by personal trainers is when they set up inefficient or ineffective appointment scheduling system. You might be using a simple pen and paper approach, you might have hired somebody, or you might have even tried some fancy software. This is all well and good. However, if your appointment setting system is missing one crucial component, you are basically leaving a lot of money on the table. You are basically putting your business at a serious competitive disadvantage. What missing factor is this? An appointment reminder service. Let's face it. Setting up an appointment is the easy part. Anybody can feel that they need the service of a personal trainer and muster up the energy and motivation to get up to a phone, make a phone call, and set up an appointment. Anybody can do that. The problem is that most people tend to forget. After all, life is what happens when you are making other plans. All sorts of things can pop up. People can have medical emergencies; they need to be somewhere else at a certain time; things crop up at work or in their business; they need to be in school. Whatever that particular situation is, they just can't make the appointment. Unfortunately, this is bad news for you because as a personal trainer, you are selling your time. That is all you are selling, and that is all you can sell. The more blown appointments, the more last minute cancellations, the more money you lose. Make no mistake about it. In the service industry, time is gold. If you are sick and tired of gold being leached out of your business, you need to invest in a proper appointment reminder service. This doesn't have to be anything fancy. All it requires is an SMS component that sends SMS appointment reminders to your customers. The good news is that SMS appointment reminders for personal trainers can really boost your bottom line. Think about it. There will be less cancellations. Also, if people do need to cancel, you will know ahead of time, and you can schedule other clients for those open spots. Not only will this help you save the income that you would have otherwise lost from that cancellation, but it also makes you look good in the eyes of the customer that you moved up. In any type of service business, you need to build loyalty and good will. The best way to do this is to, of course, make your customers feel that you are doing them a favor. One of the best favor is that you can give to your clients is to move them up schedule wise. An appointment reminder service helps you to do this regularly. A properly configured SMS appointment reminder for personal trainers can help you look good to your clients. Regardless of whether they cancel or not, you are put in a better position, instead of a worse position. The worst thing that can happen for your personal training business is for people to cancel at the last minute. When you invest in the right appointment reminder service, you can say goodbye to the lost income from last minute cancellations or no shows.